Fantastic Beasts: The Crimes of Grindelwald officially releases November 16th, and after attending a magical world premiere in Paris, we’re excited to share our review of the movie! WARNING – SPOILERS AHEAD: We’re protecting the major secrets of the movie, but if you’ve been steering clear of trailers, featurettes and all information about Fantastic Beasts: The Crimes Of Grindelwald, needless to say, you might want to give this a miss. Telling the story of dark wizard Gellert Grindelwald’s escape from MACUSA, we see him travel to Paris to establish his presence in Paris, growing followers who agree that wizards should take their place in the open, and pursuing something important to stopping the one wizard who threatens him most – Albus Dumbledore. Working as a Defence Against the Dark Arts Professor in Hogwarts, Dumbledore has enlisted the help of ex-student Newt Scamander, who – following his adventures in New York, where he helped MACUSA president Seraphina Picquery put Grindelwald behind bars – has recently seen the publication of his renowned guide to magical creatures, Fantastic Beasts and Where to Find Him. Dumbledore wants Newt to travel to Paris to stop Grindelwald from succeeding in his plans, and – refusing to take no for an answer – sends him to a safe house of a very old friend living in Paris, who we know to be famous Alchemist, Nicolas Flamel. 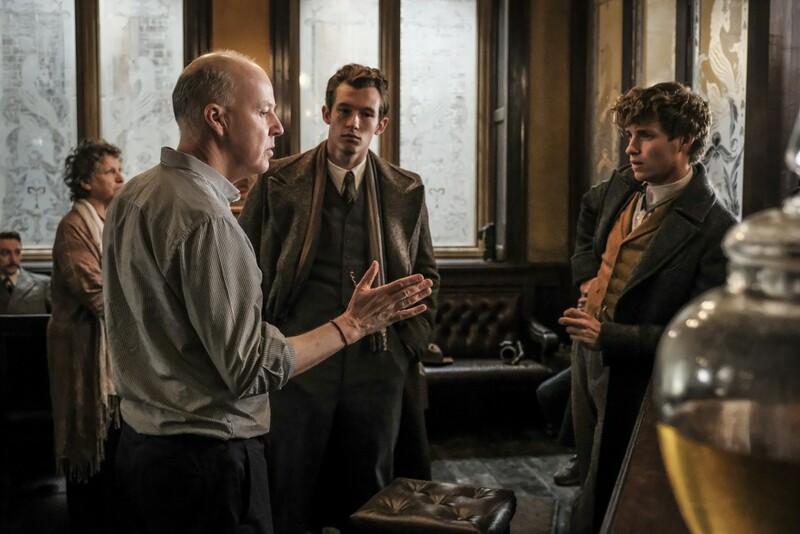 After his brother, war-hero Auror Theseus Scamander takes Newt to a hearing regarding his travel ban (it appears the Ministry of Magic were unimpressed that he managed to destroy half of New York), we discover that Theseus and his finance, Newt’s childhood sweetheart, Leta Lestrange, will be heading to Paris to stop Grindelwald under the orders of Head of Magical Law Enforcement, Torquil Travers. Prior to leaving for his mission, Newt is unexpectedly reacquainted with Queenie Goldstein and Jacob Kowalski, who have travelled to London to escape sure persecution in the U.S. for their forbidden relationship. Some strange behaviour makes Newt suspicious, and what’s more, they are unaccompanied by Tina Goldstein, who, after being reinstated as an Auror, has taken it upon herself to find Credence in Paris. Her search puts her in the path of Yusuf Kama, a French-African wizard who says he is the last male in his pureblood family line and has spent years searching for Credence. 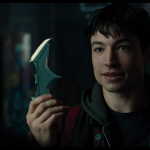 Little to they know, Credence is on a mission of his own, and has found a friend in the Maledictus, Nagini, and they have plans to escape Circus Arcanus in Paris. First thing to note about Crimes is its historical relevance. Grindelwald – like Voldemort – has been compared to Hitler, and throughout the film we begin to see more of the tensions in the wizarding world regarding the statute of secrecy. We see his rallies calling upon the wizarding world to ‘rise up’ and take their place in the open, and it’s easy to see how convincing he is amongst wizards. We’ve not had the chance to see just how threatening Grindelwald is before, and in the Potter series had merely heard brief mentions of his deplorable actions, but Crimes begins to give us a sense of his mercilessness. He claims not to hate Muggles, but his actions speak louder than his words. With war on the horizon, we begin to see tensions rising and threats becoming real, and it’s fair to say that this is just as dark a film as David Heyman, David Yates and J.K. Rowling promised. The first Fantastic Beasts film took place almost exclusively in New York City, and introduced us to many of the core characters of the film. Crimes begins to bring together the layers of the intricate narrative J.K. Rowling is weaving through the Fantastic Beasts series, transitioning from London, to Hogwarts, to Paris and beyond, and showing us three Ministries. The rapid changes of perspective and jumps in time (there’s a jump between Grindelwald’s escape and the next scene, for instance), and pace of the film means that you might find it difficult to pick up every detail on the first watch. Our return to Hogwarts is just as goosebump-inducing as one would hope, and the burst of nostalgia and familiarity helped to ground the story somewhat – you’ll catch yourself looking for hints at what Hogwarts was like in the 1920s, and there are definitely a few Easter Eggs to watch out for! Avoiding details on major plot twists, of course, it’s fair to say that reveals are surprising for fans, and will require fans to go back to their books and pull out everything they know from the Potter series. 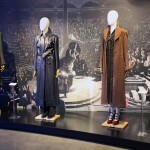 Debates have already started amongst those at early screenings, and – just like the Potter series – there are minor details that are sure to become major in future films. 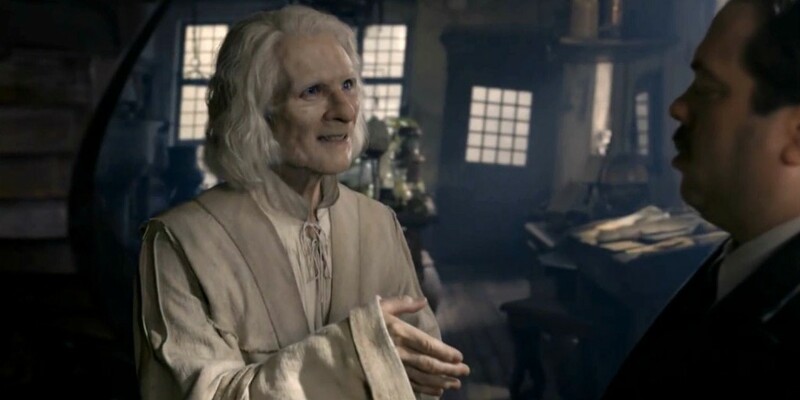 One object in the film in particular (featured in Nicolas Flamel’s house) could be a useful conduit for the story in future films, and we’re interested to see how it’s used. More on that after the film releases, and we can get down to the business of discussing the plot of Crimes of Grindelwald in detail! The story is somewhat saturated, meaning at points some narratives are cut slightly short in order to progress to the next story, stunting character development to some degree (though I’ll confess, Order of the Phoenix is my favorite Potter book, so I’m a big fan of lengthy narrative development!). Queenie and Jacob and Tina and Newt develop as couples respectively throughout the movie whilst other events around them unfold, and whilst the former’s story serves the plot and therefore gets more screen time, I feel Tina and Newt have still got a way to go. I felt Tina was somewhat pushed to the sidelines of this story, so here’s hoping the reinstated Auror will get her time in the third movie! Dumbledore and Grindelwald’s connection and relationship is given a tad more substance in this film, after we saw Dumbledore looking forlorn in front of the Mirror of Erised in the trailer. We know the duel where Dumbledore defeats Grindelwald does happen, so it’ll be interesting to see how we move from this explanation to the point where to two do end up battling, and how high the stakes will be raised to make that the series’ pinnacle moment. Newt is clearly a crucial part of Dumbledore’s plans, and by the end of the film we begin to understand the extent to which he’ll be involved in the wider Grindelwald-Dumbledore story. This story still felt as though it was ‘setting up’ the overarching story of the Fantastic Beasts series at times, but did so in a way which still gave us new characters, new beasts, and new theories to discuss – the threat Grindelwald poses is established, meaning the final three films will hopefully get into the story of his rise and fall. We’re introduced to several new characters in this film (read more in character profiles from our set visit, here). 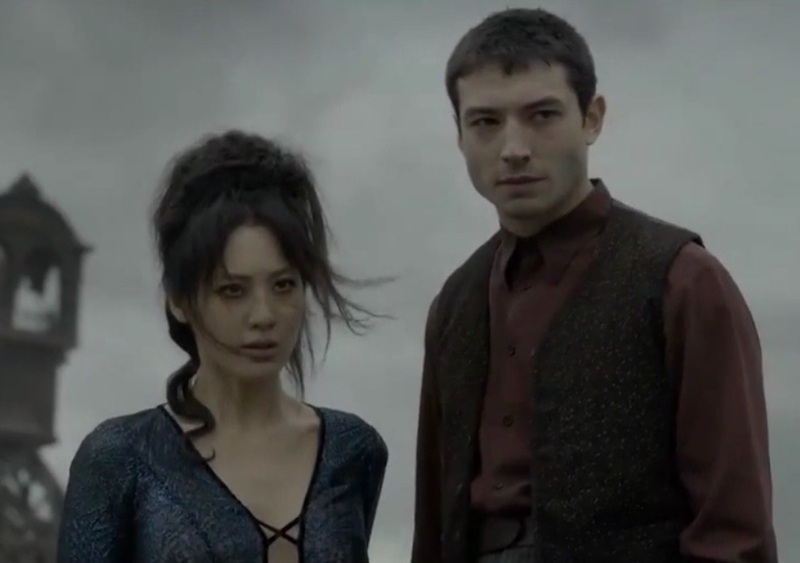 Claudia Kim as Nagini is much more of a tragic character than one would expect, and we’re still waiting to see just how she becomes Voldemort’s number one. We see moments of her closeness to Credence as he tries to find his identity, and of course her abuse under ringmaster Skender at Circus Arcanus. The Circus itself is full of creatures, including the Japanese Kappa. We only see this for a fleeting moment, but it’s great to see some of Newt’s discoveries brought to life nonetheless! We also see many House-Elves being used for menial wizard work at the circus – one of many links to the Potter series. Leta and Theseus are introduced as a couple in this film, and although their attraction to one another isn’t fully examined in the movie, we see that they are now both working at the Ministry, after Theseus’s boss, Head of Magical Law Enforcement, Torquil Travers, employed Leta as his assistant. It means the two are conveniently stationed in Paris on work duties, meaning we get to see some awkward clashes with Newt, some flashbacks to Leta’s days at Hogwarts, and some of her backstory. Leta is given plenty of screen time in this film, meaning we really get to know her, and she becomes another central character in this movie. Newt’s relationship to his brother is shown, too, and it’s a particularly enjoyable dynamic. Callum Turner nailed his audition for Theseus by kissing Eddie Redmayne on the head, and inspired Jo Rowling to give Theseus a softer side – it’s this brotherly side to him, and their clear differences, which makes their relationship all the more endearing. Theseus is less like Percy than one would have expected from his ‘ministry man’ characterisations, and in future we’re interested to see how his relationship with Newt changes. Seeing as Newt is now wrapped up in Dumbledore’s thoroughly Ministry-unapproved plans to thwart Grindelwald, and Theseus is very much aligned with the Ministry, we’ll see them (hopefully) align more to restore peace amongst wizards and Muggles. 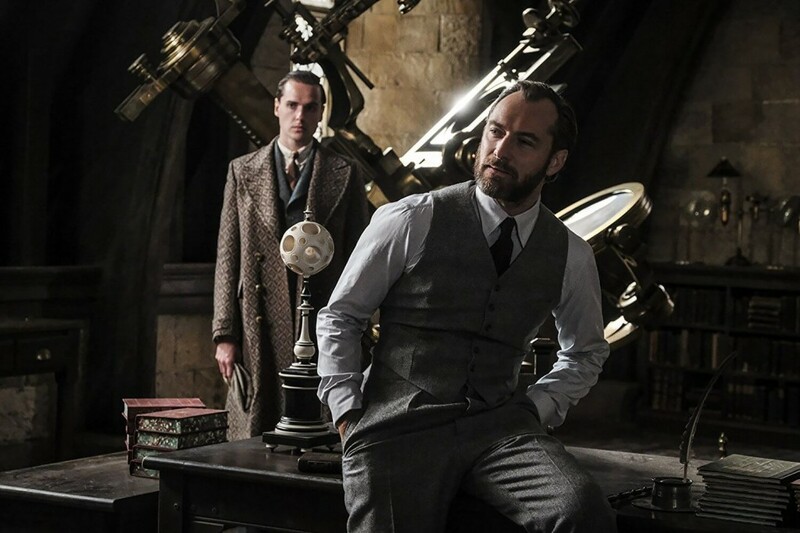 Jude Law is absolutely perfect as Dumbledore, as many of us expected! He’s got the twinkle in his eye down to a T, the mischief, the quiet regret and is surrounded by a sense that he’s holding onto secrets which are crucial to reaching the end-game duel in 1945. 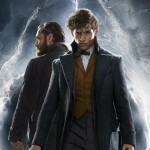 Law prepared extensively for his role, and seeing him opposite Eddie Redmayne as Newt Scamander mirrors his dynamic with Harry in several ways. We see Newt challenge Dumbledore, refuse to be use as a chesspiece and demand answers. One way he differs to Harry, perhaps, is that Newt initially refuses to “choose sides”. It’s an interesting choice to make for his character, especially as Dumbledore tells Newt that one of the qualities he admires most about him is that he asks ‘Is a thing right?’, but ultimately adds volumes to his integrity as a character – we know that he’s following Dumbledore’s plan because he believes it to be right, not just because he believes Dumbledore to be a good and honest man. The Niffler makes a return in this film, accompanied by babies (which are just as adorable as you’d expect! ), along with Pickett the Bowtruckle (we even see how he and Newt meet! ), and we’re introduced to the Zouwu – an incredible creature being held at Circus Arcanus. We also see some more creatures in Newt’s basement magical menagerie, where his assistant, Bunty, helps him care for magical creatures in need. 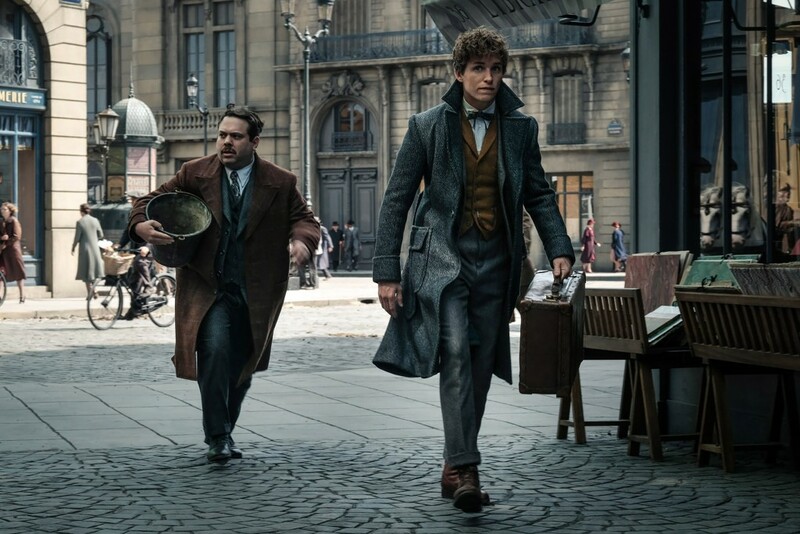 Aside from the obvious bonus of getting to see more creatures (we see an Augurey and Kelpie there, for instance), Bunty and Newt’s dynamic lets you see a different side to Newt. He’s much more authoritative in his home, and you see him come out of his shell and show himself to be the magizoologist we know him to be – it’s fascinating to see Eddie Redmayne transform into various ‘versions’ of Newt throughout the film! Victoria Yeates is brilliant as Bunty (we hope she makes a return! ), and the duo have a pretty unique relationship – it’s great to see more of Newt’s work life, and some other experts in his field. Once again, meticulous attention to detail has been given to the sets of Crimes Of Grindelwald. Travelling to 1927 Paris for the world premiere of the film gave a sense of just how accurate the Parisian streets were, and the distinction between ‘Muggle’ and ‘Wizard’ Paris was absolutely stunning. The entrance to the wizarding world in Paris, Le Ministère des Affaires Magiques de la France, and Pere Lachaise Cemetery were all stunning, and truly immersed you in the French wizarding world. Stuart Craig, Martin Foley, Mina Lima, Pierre Bohanna and every and all of the artists and designers on set did such an incredible job at making sure every scene was immaculately detailed – even down to lettering on street signs, window frames — and a 1920s Butterbeer label! Colleen Atwood, Fae Hammon and the rest of the costume and make-up departments We’re super excited to see where the series goes next in the world, and how this same sense of immersion will be created! The soundtrack made several callbacks not just to Fantastic Beasts and Where to Find Them, but to the Harry Potter series. James Newton Howard brought together this dark thriller / love story concoction perfectly. One particularly chilling track used in a harrowing scene with Leta made the tension and curiosity in the room almost palpable – it’s truly a magical composition! Finally, to close on the reason these films exist, each and every beast in this movie is absolutely stunning. The special effects department did a remarkable job at creating the huge Zowu, in particular – one scene sees Newt use some of his magizoologist magic on the beast, and it’s incredible to see just how much personality each creature is given in the films. The baby Nifflers, too, got a huge reaction from the audience – needless to say, they’re as adorable as you’d hope them to be. We hope to see many more beasts in future instalments. Crimes of Grindelwald was thrilling, heartbreaking, confounding and absolutely breathtaking all at once. There were moments where I was questioning how things fit into canon, moments where I was questioning which spell had been used for something to happen, and by the end of the film I felt like I needed to see the next movie immediately (and watch this film around 10 more times to full understand everything). The screenplay will definitely be a valuable tool after watching this film, as there are a few spells, important lines, and names you’ll want to be clear on! Overall, I did enjoy this movie, despite the countless questions I had, but my enjoyment was diluted somewhat by how saturated the narrative became. I was still shocked by the ‘big reveals’, tears came to my eyes and I got goosebumps when we got to go back to Hogwarts, and I thoroughly enjoyed seeing a couple more magical creatures and seeing another section of the wizarding world, but felt there was a lot of quick shoe-horning of scenes to make the film suit the ‘Fantastic Beasts’ title, which was a shame. There was a major cameo plothole I can’t see past, and the characters and relationships in the film are definitely suffering development at the hands of a slightly saturated plot. 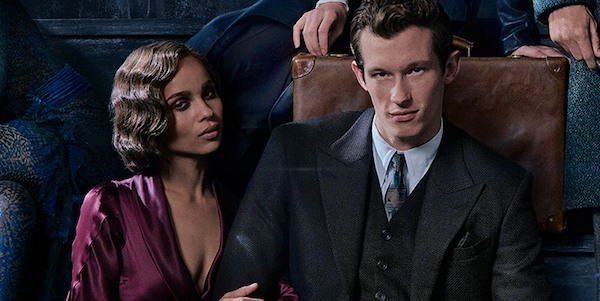 Everybody involved in this film should be incredibly proud, because it’s so visually powerful and the actors are just as incredible as you’d expect them to be; Jude Law as Dumbledore, Joshua Shea as Young Newt and Zoë Kravitz as Leta were some invaluable newcomers. However, in terms of plot, the stakes aren’t quite high enough for me given that we know the duel between Grindelwald and Dumbledore happens, and we know Dumbledore survives, and the major plot twist at the end – though shocking – was mainly just confusing. J.K. Rowling has said that by the end of the film what we think we know might not be what actually is true, so I’m holding out hope and assuming that that means there’s a bigger twist to come. Here’s to Fantastic Beasts the third! Stay tuned for coverage of roundtable interviews with the cast, and catch our live-stream next Tuesday (5:00pm GMT) on our Facebook page to watch live coverage of the London red carpet premiere, and watch our Paris coverage below, featuring interviews with David Yates, Jude Law, and Claudia Kim! Also take a look at our set visit coverage for more details on the film ahead of its official release date on November 16th.